San Francisco is a city celebrated for its progressive history, distinctive architecture, and phenomenal geography. It is also one of the major urban centers in the region. Home to roughly 800,000 people, it is expected to grow to nearly 1 million residents by 2035. Heritage and SPUR believe it is critical to protect the historic fabric of the city. We also believe it is critical to support growth and change in the right locations. 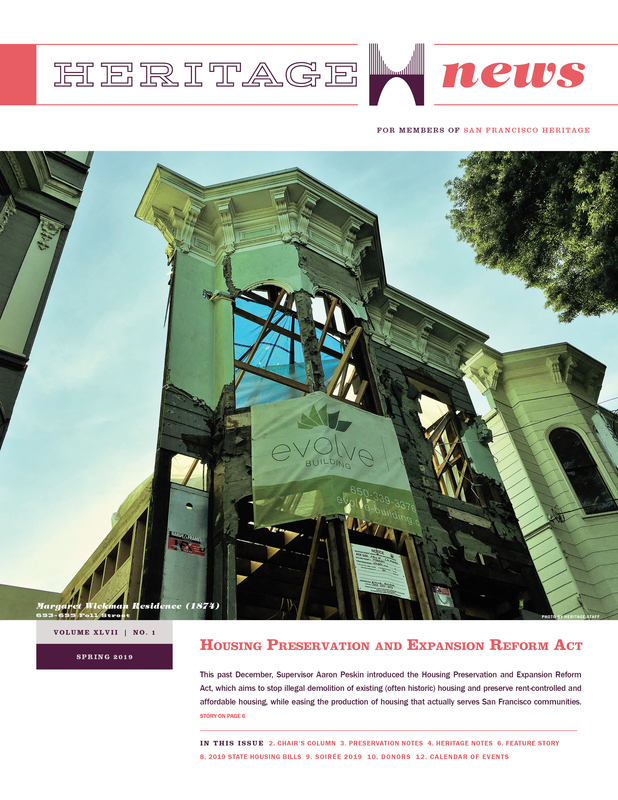 This joint policy paper, two years in the making, examines three aspects of historic preservation in San Francisco: historic resource surveys, historic districts, and the California Environmental Quality Act. On Monday, May 2, 2011, the Land Use Committee of the Board of Supervisors held a special hearing to “examine the balance between historic preservation and other public policy goals in San Francisco.” The hearing was requested by District 8 Supervisor Scott Wiener, who has questioned “how our City government’s increasing prioritization of historic preservation is impacting, and possibly undermining, other key policy objectives”—such as housing, parks, libraries, and pedestrian safety. Heritage embraced this opportunity to address how preservation plays a key role in maintaining the City’s world-class character while meeting today’s needs. As a testament to the passion surrounding this topic, there were nearly four hours of public testimony. Although a strong majority spoke in favor of historic preservation, some legitimate concerns were raised about financial and regulatory burdens on owners of historic properties. The documents below were created to help preservation supporters develop talking points for the hearing. 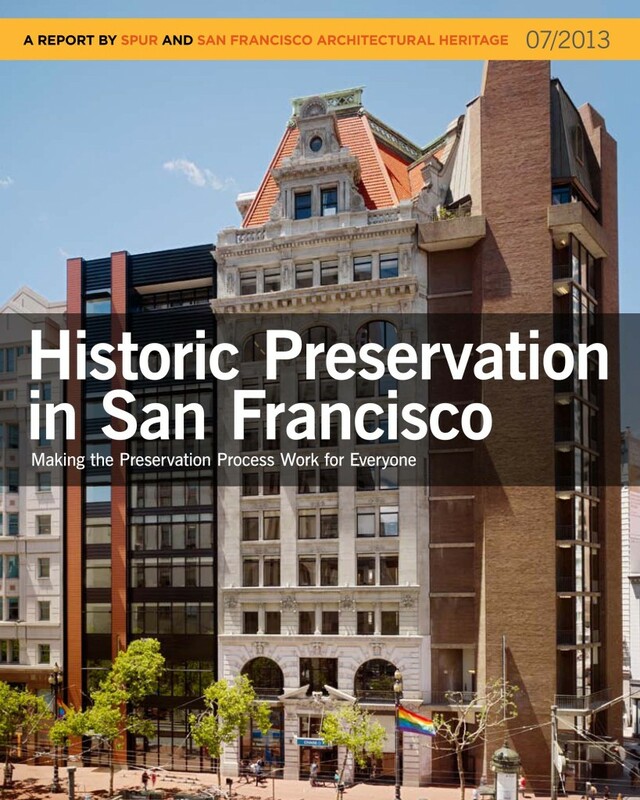 Heritage prepared brief one-page fact sheets on historic preservation’s impact on other public policy objectives in the city. These documents are intended to debunk common myths about preservation using examples, studies, and relevant data.